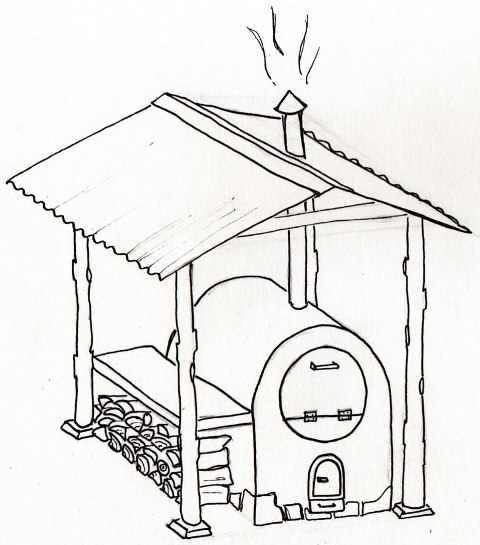 The book Build Your Own Barrel Oven is now available! 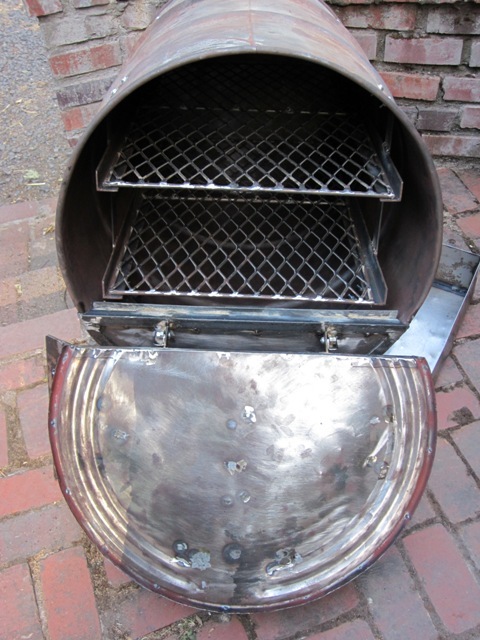 Click here to find out more and order yours�today! 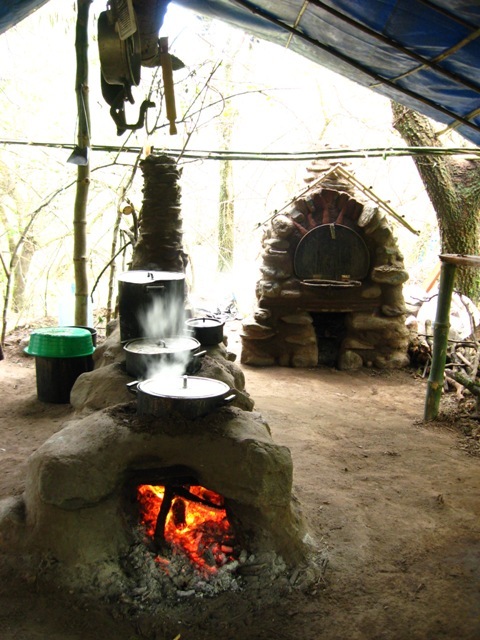 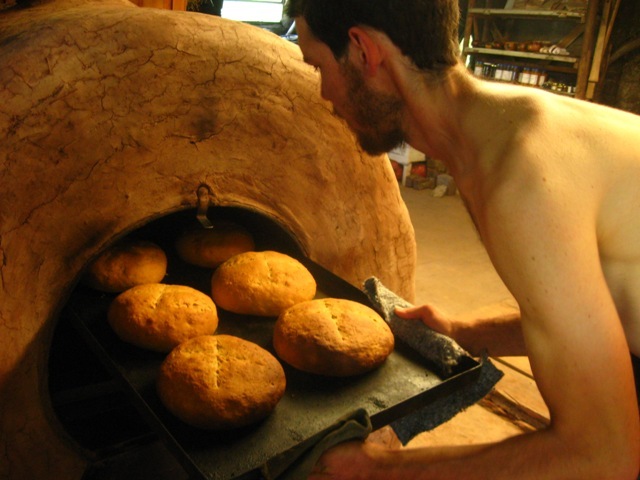 THE “BARREL” OVEN is a very practical and wood-efficient oven which can be built at very low cost using mostly natural and recycled materials.�� The oven is sometimes also called a “mixed” oven because the heat generated by the wood burned cooks both by directly transferring heat into the cooking chamber as well as by retaining heat in the oven’s mass and slowly returning that heat to the inside of the oven.� For these reasons, this oven is much more practical to use and requires much less wood to do the same amount of baking as in the retained-heat mass ovens and traditional domed earthen ovens.� It allows for quite a bit more spontaneity too since you can be baking just 15 minutes after lighting your fire.� The firebox and the inside of the oven are sealed off from each other so the baking chamber is always clean of ash and carbon-black. 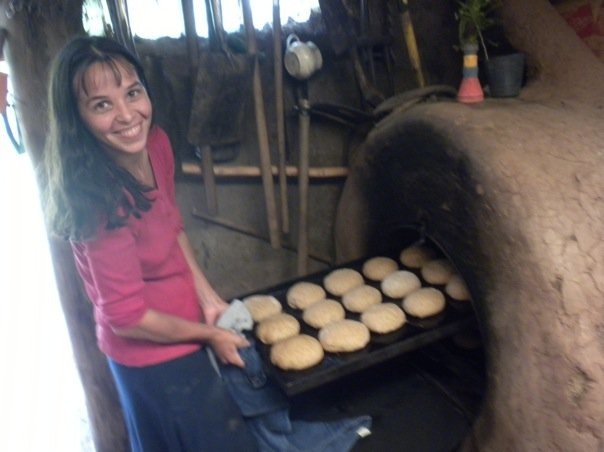 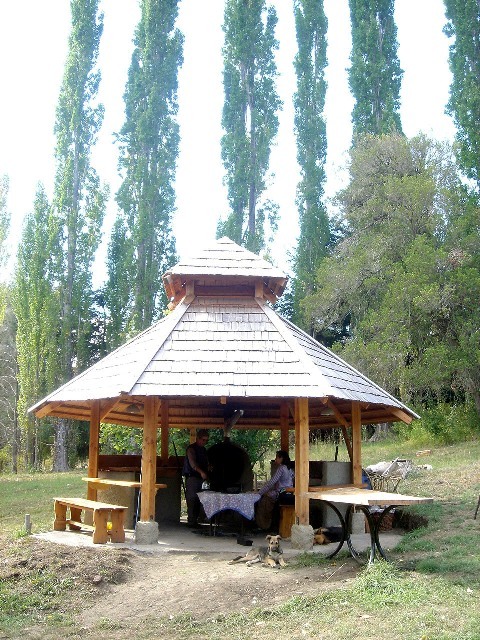 This is the kind of oven that you can easily cook for large groups of people with, run a cottage-industry scale bakery or a farmer’s market booth several times a week with.� Another great feature of this oven is that all the operational parts of the oven can face indoors while the bulk of the oven can be outside. 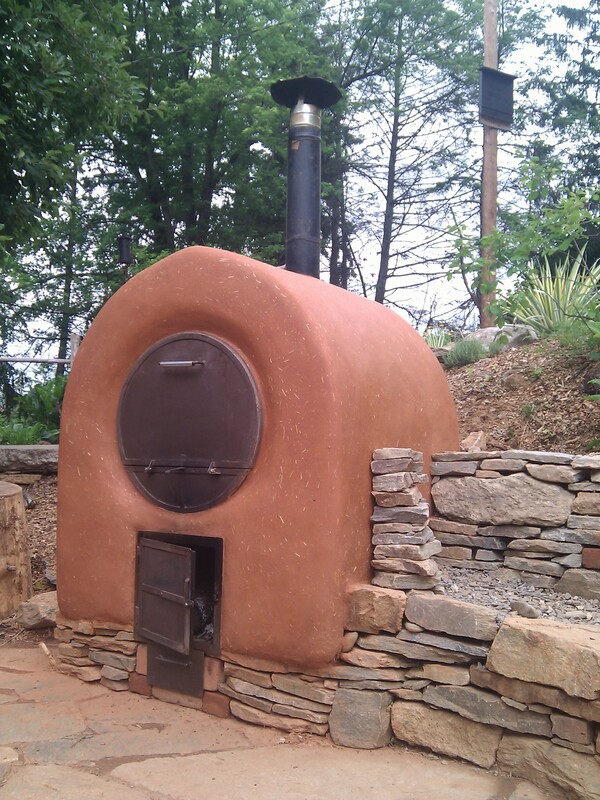 We have both built as well as cooked for our communities and for large gatherings with these ovens and are convinced of their great functionality.� We know of only two ovens of this style built in North America so far (they are very popular in South America) so we are very excited for more of these to be built! 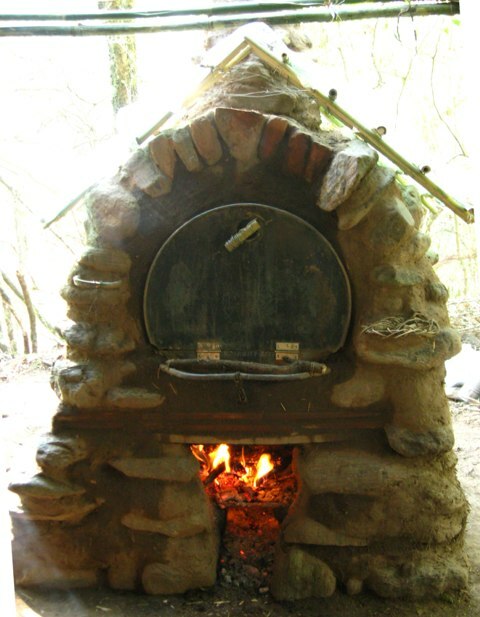 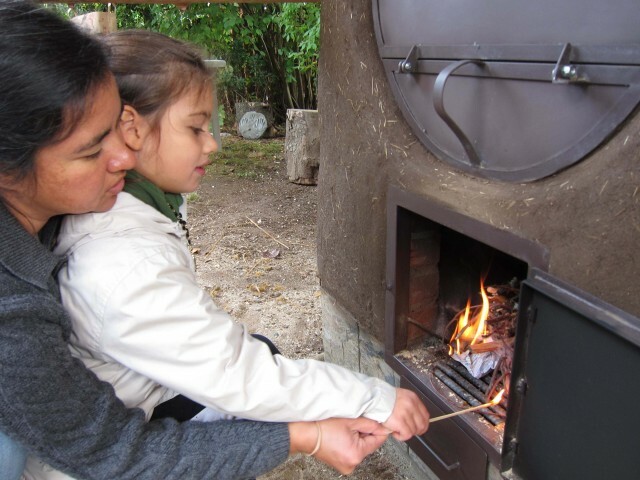 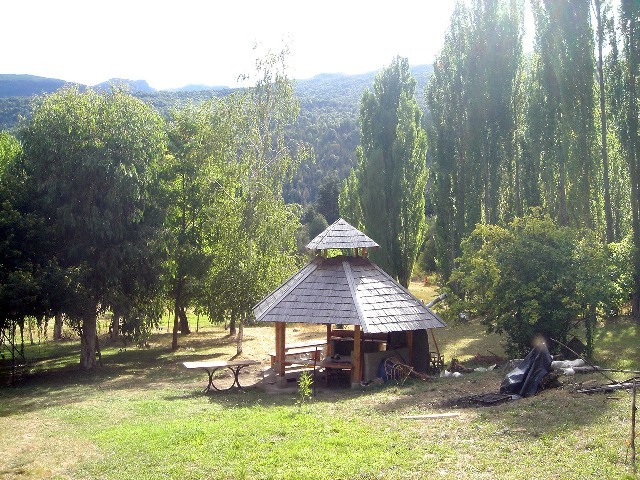 Eva and Max were part of the prep team who went into the sight, about an hour’s walk into the jungle of Catamarca, Argentina to build infrastructure for a collaborative gathering of 200 people to explore positive and creative solutions.� Within a couple of days and with only found objects and materials, we built this oven…. 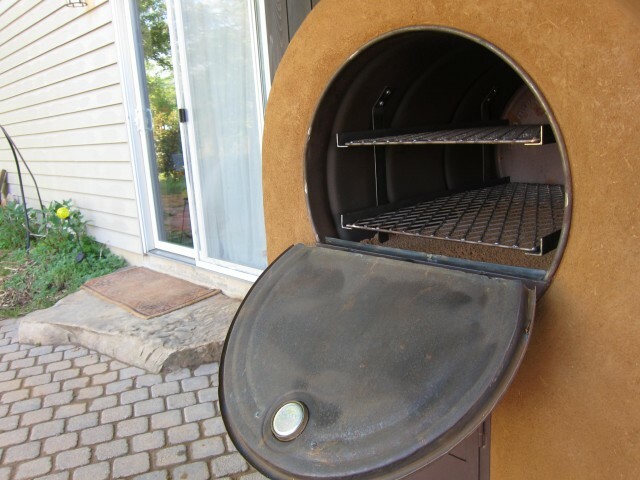 Firespeaking can provide you with all the metal working for you to create a state of the art wood-fired oven of this kind.� We can ship you these parts anywhere in North America and will be happy to provide follow-up support and consultation for the construction process. 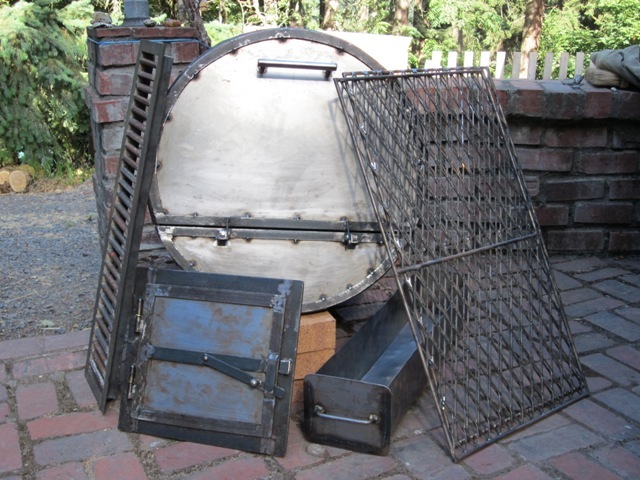 More specific information about the Barrel Oven Kit including current pricing and ordering information…. 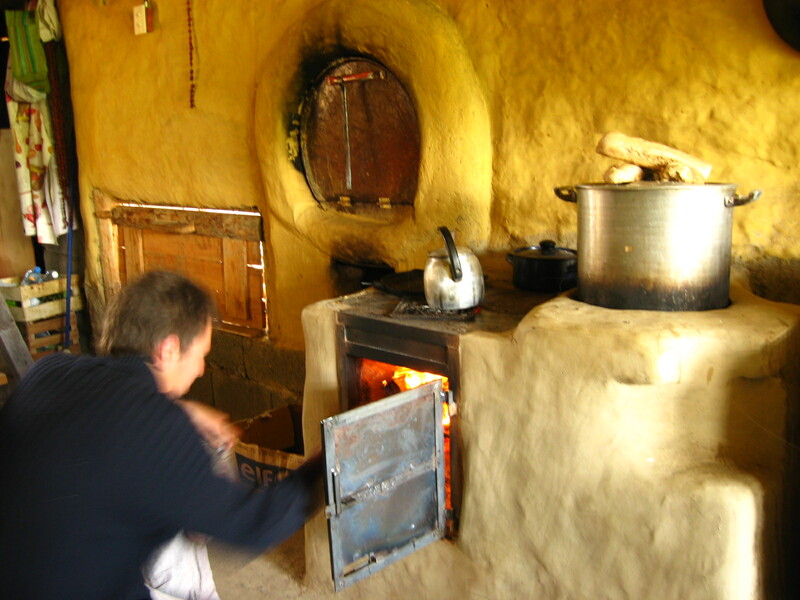 Note: the door is weighted to close without need of a latch and the whole front face is actually an insulated sandwich of metal and ceramic wool insulation. 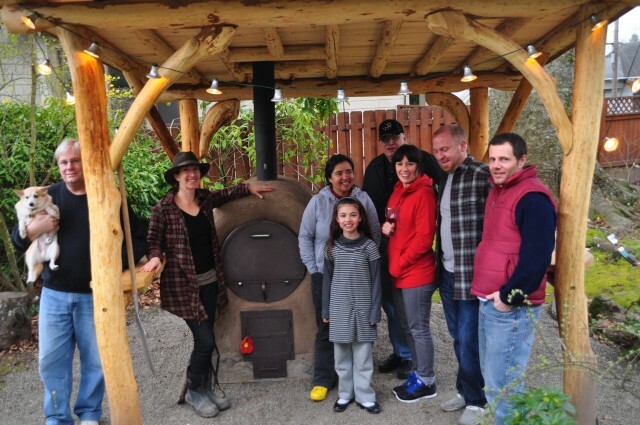 As mentioned, we are currently in the process of writing a booklet on the construction of this kind of oven due out this winter.� Please let us know if you are interested in receiving an update when the book is ready.� Please contact us if you are interested in having one of the ovens built at your home, in your community, at your school, in a collective bakery, etc. 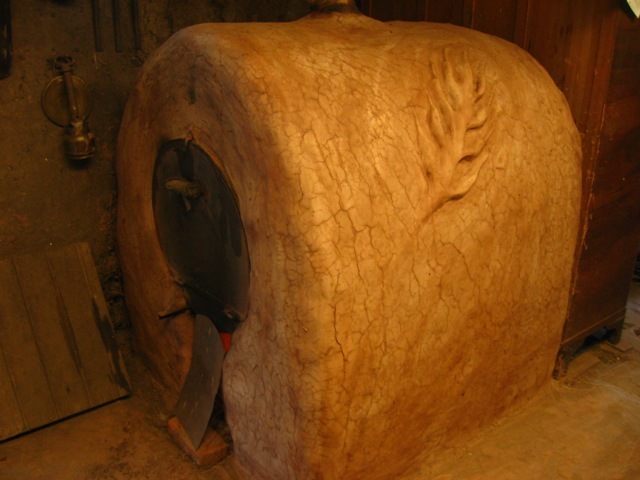 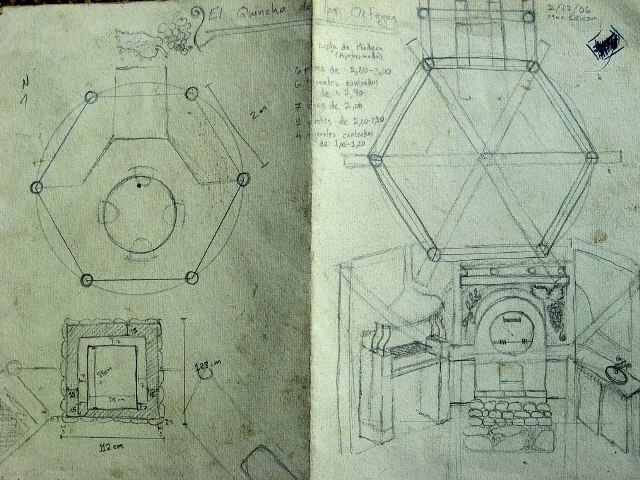 Order your Build Your Own Barrel Oven Book Today!